The primary objective of pressure management within a water network is to realise leakage and demand savings as quickly and effectively as possible. However, by reducing unnecessary pressure in a network, additional benefits are achieved. A dedicated sustainable pressure management initiative is essential in any water company. Owing to the immediate and longer term benefits attributable. 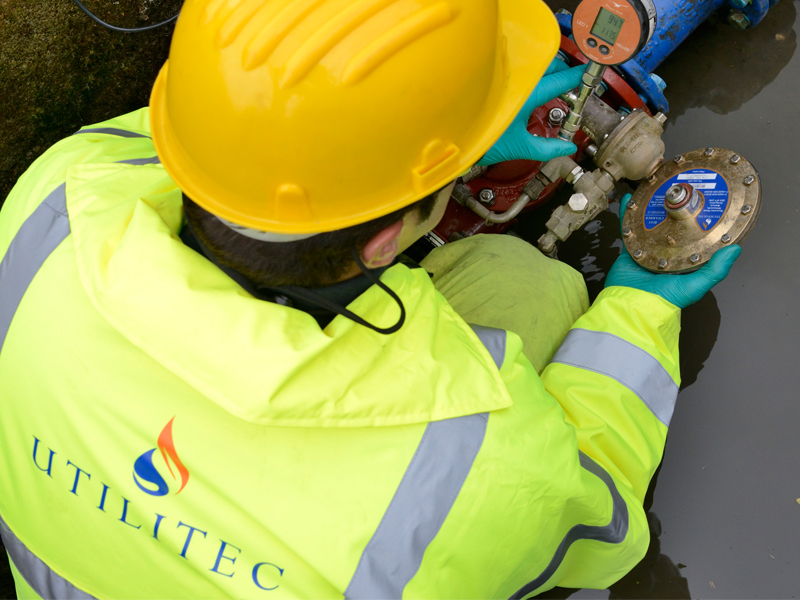 Utilitec will undertake an audit of the PRV and zone. This will determine details such as manufacturer, model, size, pressures, mode of control, bypass arrangement, properties served and property heights. Pressure loggers are deployed at the PRV, the average zonal point (AZP) and critical point (CP). All pertinent information, including pressure and flow data, locations, digital photographs, GPS coordinates are uploaded onto either Utilitec’s bespoke database or similar corporate database, as required. Based on the make, size, pressure differential, mode of control and properties served, each valve is ranked using a customised scoring matrix. This will determine the PRV servicing frequency and service category i.e. minor or major. Pressure data is taken before and after each service to analyse the PRV’s performance. Based on logged data and analysis of the pressure managed area (PMA), Utilitec make recommendations for pressure management. This will ensure that the PRV is delivering optimum pressure to the PMA. This may be as a result of fixed outlet reduction or advanced pressure control. Utilitec have invested heavily in expanding their skill set. We have a broad range of services to offer our clients and have extensive experience in working for water companies. Our expertise not only centres around data collection and management but also a strong experienced team, focused on designing and delivering leakage savings and network optimisation via multiple applications. Our Network Engineers are able to quickly identify areas for pressure management and model predicted savings based on control strategies. Deploying data loggers to collect data to really find out how the network works we are able to optimise existing pressure managed areas design new schemes and service and maintain existing control valves. Our work is targeted around leakage savings and burst reduction. You can be sure of value for money and quick returns. Pressure management is one of the most cost effective ways to control the amount of water lost in a system. This can be implemented without affecting service levels when activated during off peak demand. It can also reduce consumption in networks. A small reduction in pressure can mean a significant reduction in real losses through leaks. Also reduction in bursts and the extension of asset life. Advanced pressure control is a simple cost effective adaption to an existing pressure control valve potentially yielding fantastic results with short payback periods. A simple interface and intelligent control system is able to be configured for Time, Flow or Closed loop control within single or multi feed networks. Utilitec’s team of very experienced Network Engineers are able to quickly identify & deploy the correct and most effective advanced pressure control techniques to your network. It is vital that the network is investigated prior to deploying pressure control to determine and ensure the “health” of the network. The whole network should be studied to identify the most beneficial areas for pressure control along with “quick win” areas. Unusual head-losses will need investigating and good reticulation ensured prior to deployment of advanced pressure control. Our team of skilled Engineers and Analysts can quickly determine these areas, gather data and predict results based on the equipment and technique to be used. Pressure in the network is modulated throughout the day from peak to minimum demand. The calculated profile (1 day or 7 day) based on historic data is tuned to give adequate pressure at the most critical points across the network. Typically pressure is reduced most at night during low demand periods and raised during the day to meet peak flow and overcome network head-loss. Based on historic data a relationship of Pressure V Flow is programmed into the controller where the pressure supplied into the network is enough to overcome the head-losses for any given flow demand. The controller continually measures the flow rate and controls the supply pressure accordingly to ensure adequate pressure at the most critical points within the network. This technique will respond automatically to demand throughout the day. The ultimate in advanced pressure control. This technique can be used on single or multiple feed networks and can deal simultaneously with several critical points, meeting the requirements of each. Advanced pressure controllers are installed and commissioned on each PRV and a remote control data logger installed at the critical points. A target pressure or pressure profile is determined at the critical points. Using the GSM network as a communications medium, control messages are sent from the critical point to the controllers adjusting the supply pressure to ensure optimised pressure all the time. Balancing the supplies on multi-feed networks is possible, as is remote communications to change target pressure at any time or manual system control. 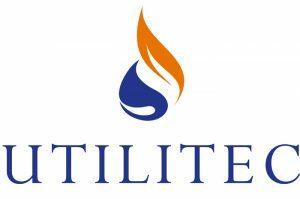 Utilitec’s PRV database has been developed over many years. In recent times adapted to support the specific and bespoke requirements of our water company clients. As work is completed, the database is populated with existing customers PRV and controller data. This is utilised by the water company and Utilitec for all pressure management reference. The introduction of the web based database has proven extremely innovative. In its own right as it enables automatic PRV service ranking and PRV service scheduling. This in turn enhances the workforce’s productivity to ensure that a targeted PRV servicing programme takes place in a timely fashion. The PRV Database allows for audited information to be stored and assets ranked for maintenance intervals according to their criticality. The database allows Field Staff to utilise their remote access products such as the Intermec and Toughbook to glean PRV information, photographs, controller details etc. whilst on site, which improves the effectiveness and efficiency of Field Staff. The images to the side are generic screen extracts of Utilitec’s PRV Database which indicate the specific data gathered and the variety of information which can be viewed from the field.